We’re Going on a Road Trip (or two)! Although the time to fill out the trial request forms has passed, you can still come and say hi. If you would like to request a trial, please fill out the request form by 23 June. We’d like to remind everyone about the upcoming ATSA Daily Living Expo on 24 May. We are so excited to be exhibiting there this year and would love to see you all at this wonderful event. We will have a super fun photo booth for everyone to use PLUS we will have some brilliant new products to show you! Don’t forget! We are also giving away a Splashy bath seat by Firefly to one lucky winner! Register that you will be coming to see us at the expo and you can go in the draw to win this incredible piece of equipment. We love reaching out to the community and our road trips are a wonderful opportunity for those in rural areas to view and trial our fabulous range of products. To book a trial, please fill out the request form by 26 May. Or email us with the product/s you are interesting in viewing. We can’t wait to hit the road and see your smiling faces soon! ATSA, New Product And LifeTec! We hope you had a wonderful Easter break! Don’t forget, Special Needs Solutions will be exhibiting a the ATSA Independent Living Expo on 24 May. ATSA Independent Living Expo is open to visitors of all ages, including those with a disability, seniors and their families, friends and carers. A key feature of the Expo is the FREE Conference Program – run in rooms conveniently located next to the exhibition floor. Admission is free to therapists, the general public, and users. It is highly recommended that you register online for the expo here. Come see us for your chance to win a Splashy and to take photos in our fun photo booth! You don’t want to miss it. 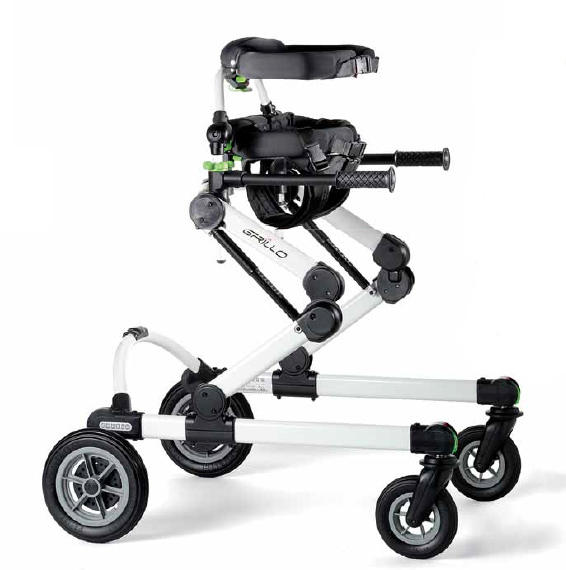 We are so excited to announce our new product – The Grillo Posterior/Anterior Gait Trainer. This beautiful product is designed and made in Italy. The walker is designed for children and small adults with special needs and comes with a wide range of adjustments to make change to the ability of the user. The Grillo Gait Trainer/Walker supports children with mild to moderate physical disabilities. The increased arm and upper body support accommodates to all users. We are now taking trial bookings for this amazing new piece of equipment so make sure you fill out the trial request form! On Saturday 6 May, Lifetec, Newmarket, will be holding their Inaugural Bike Expo! Special Needs Solutions will be there with our complete range of bikes on display and they will be available for trial. We would love to see you there so make sure you register through Lifetec. Just a general reminder that we are now booking into June so please submit your trial requests as soon as possible. We want to help each and every one of you, so help us help you by filling in the form today. We’re Coming For Cairns at Townsville! We are so proud to be starting off with a huge congratulations to our fearless leader Tiff! A couple of weeks ago, Tiff was awarded the Inaugural Carers Award at the 2017 International Women’s Day Awards. This award was in recognition of her leadership to support others in need. How incredible is that? We are so proud of you Tiff and you deserve this award completely. Listen up Cairns and Townsville, we are headed your way! We will be travelling to see our North Queensland friends on Thursday 20 April and Friday 21 April to showcase our amazing product and equipment range. Special Needs Solutions has the largest range of paediatric equipment so this is the perfect opportunity to trial and script equipment! Please contact us to register your interest by 31 March. Fill out our Trial Request Form so we can put a smile on your dial when we arrive in Cairns and Townsville. We are also very excited to announce that we will be exhibiting at the ATSA Independent Living Expo in Brisbane on 24 May. The ATSA Independent Living Expo presents over 100 exhibitors that display products and services in assistive technology, mobility solutions, pressure care, employment support, accessible recreation/holiday ideas, modified motor vehicles and more! It is a requirement that you register for this expo, so click here and enter your details. Also, if you come to say hello at the expo you can win a Splashy Bath Seat! Enter your details online for your chance to win this amazing prize. 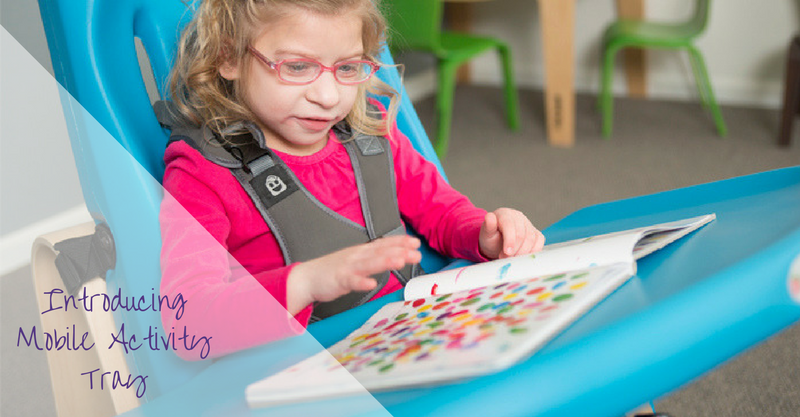 Just an important message to all our amazing customers: we would like to kindly remind everyone that Special Needs Solutions is a small, boutique, highly specialised paediatric team and at times we make take a little time to answer your enquiries. We care about each child and their individual needs and we spend the right time to find the right solution for the child. We apologise if we do not get back to you right away, but we will respond to everyone and give you all the love and support you need. We are very proud to announce that Special Needs Solutions is now a registered NDIS provider! NDIA is The National Disability Insurance Agency the implements the National Disability Insurance Scheme (NDIS), to help support Australians and their families with permanent disabilities. They ensure these families and their carers get the support they need. This is very exciting for us as we love helping and supporting families in need. In other exciting news, we have a brand-new product! We are very excited to introduce the Mobile Activity Tray. This adjustable, manoeuvrable and versatile product is ideal for kids to draw, read and eat off. It comes in two sizes: short and tall, has a height and angle adjustable tray surface, and come in four fun colours. The Mobile Activity Tray from Special Tomato can be used with wheelchairs and walkers. If you would like to trial this fantastic new product fill out our trial request form. Happy Valentine’s Day! We are spreading the love this Tuesday 14 February when we head to the Sunshine Coast! If you would like to trial any of our products, contact us and fill out a trial request form by Friday 10 February. Do you live in Northern Queensland? We are coming to visit! We are coming to Mackay, Townsville and Cairns the week of 17 April. We encourage you to fill out a trial request form to try out our extensive range of equipment. We hope to see you there! We are beyond excited to announce the release of the new product SPLASHY BY FIREFLY! Splashy the bath seat is brand new to the Australian market and is a fantastic product that can be used in many aquatic and non-aquatic areas. Check out a video of it in action here. Splashy the bath seat has been designed for children who need head and trunk support whilst having a bath. 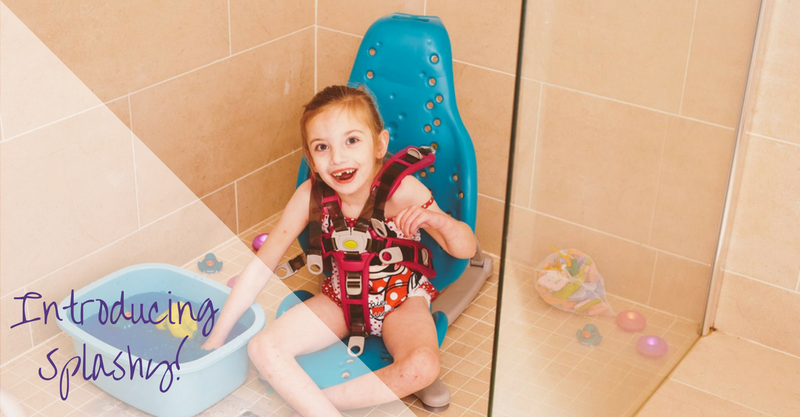 This innovative product can be used not only in the bath or shower but also in the pool, at the beach, in the sandpit, hydrotherapy, school swimming, and as a regular floor sitter at home. Splashy the bath seat was designed to sit low to the base of the bath so your child can sit in water comfortably and the 26 recline settings will assist you with bathing. The portable design makes it easy to take anywhere any time! 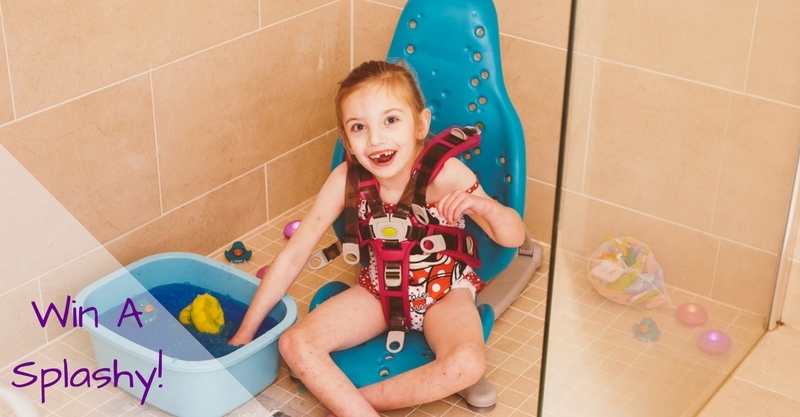 Splashy the bath seat is suitable for children ages 1 to 8 years and can support up to 30kg. This fantastic product has 3 main parts: the backrest, seat base, and floor sitter base. It also comes with a groin strap, four harness straps and four bumper supports. It also comes in 3 fun colours: Blue with green straps, green with pink straps, and pink with blue straps. This innovative multipurpose product is now available in Australia for the affordable price of $750. If you would like to trial this amazing new product submit your trial request form or request a quote today to get your little one splashing with Splashy! 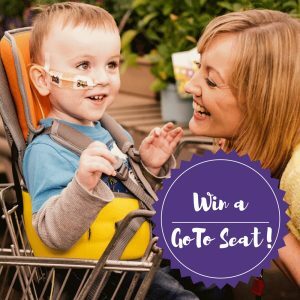 The ‘Firefly GoTo Seat Competition’ is sponsored by Special Needs Solutions. By participating in the contest, each entrant agrees to abide by these terms and conditions including all eligibility requirements and understands that the results of the contest, as determined by Sponsor and its agents, are final in all respects. To enter like the post and leave a comment about a special Christmas memory with your children. Promotion starts 9.00am Tuesday 13 December 2016 and closes 3.00pm EST Friday 16 December 2016. Entrants must be within Australia. Special Needs Solutions has the right to verify the eligibility of each entrant. Entries can be made across both Facebook and Instagram. Winners notified via personal message by 5.00pm EST 16 December 2016. Value of prize is $850 and is not redeemable for cash and non-transferable.